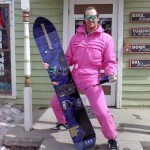 Check it out as an awesome Shredivus present VBS is giving us Snowboarders in Exile in full. Now you can see one of the first films that solidified the freestyle movement. Watch this and learn your roots. A special thanks to Fall Line Films and VBS TV for getting this out there. I’m stoked to be able to sit in an air port waiting for the rest of my party to arrive and watch a classic. Goodtimes! Love it! I especially like the part where Dave Graham asks “Where do you go beyond 360’s and back flips?” Fun film for sure.